Ryszard Legutko lived and suffered under communism for decades-and he fought with the Polish ant-communist movement to abolish it. Having lived for two decades under a liberal democracy, however, he has discovered that these two political systems have a lot more in common than one might think. They both stem from the same historical roots in early modernity, and accept similar presuppositions about history, society, religion, politics, culture, and human nature. 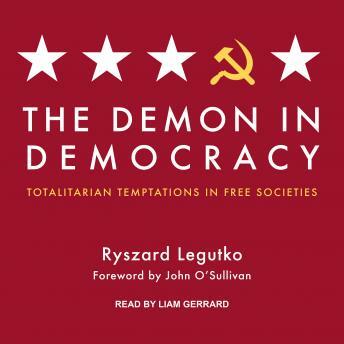 In The Demon in Democracy, Legutko explores the shared objectives between these two political systems, and explains how liberal democracy has over time lurched towards the same goals as communism, albeit without Soviet-style brutality.